Can you save the BEES? Yes, We are bee keepers as well as a Pest Control company and our number 1 priority is to SAVE THE BEES. Bees are beneficial to the agricultural community as they pollinate our crops. Over the years the bees have lessened in numbers. It’s important to us to save as many bees as we can. For this reason, we put LIVE BEE REMOVAL as our number 1 goal. In some instances we cannot save them and we must exterminate them. In most residential or commercial areas, honeybees are commonly found nesting between walls, at the eaves, ceilings, roofs, chimneys and floors. 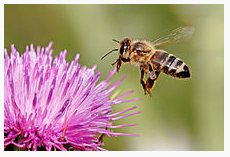 Active bee infestations may contain 20-100 pounds of honey or more. Their hives also have bees, wax, and other debris. People often ask: Do i need to remove the hive or can we just kill the bees? Can’t you just kill the bees? Killing the bee colony without removing the nest may result in structural damage and can become a harborage for ants, cockroaches, rats and other vermin; as well as having the honey and dead bees rot, ferment, stink and/or melt. Removing the entire nest will also greatly reduce the chance of future infestations. In some cases however extermination may be the only option. Call us for a FREE assessment of your home or business. 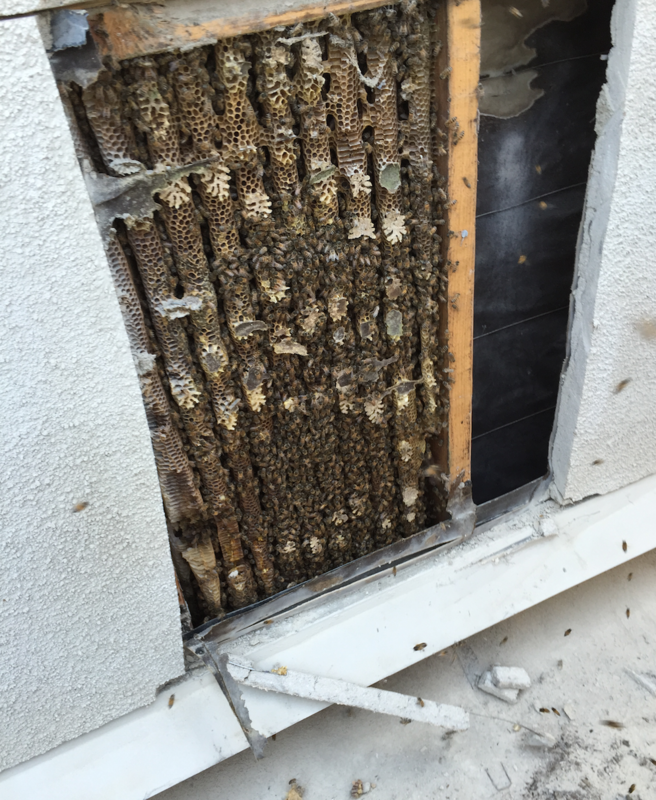 Depending on how long the bees have been there, we can give you several options to get them off your property. Types of bees we take care of: Honeybees, Wasps, Yellow Jackets, Hornets, Carpenter Bees, Bumble Bees.